Sports have always been serious business. They are sophisticated, stylized affairs that serve to entertain as much as to channel collective desires, fears and tensions. For the past one hundred years, no sport has fulfilled this role as prominently as soccer — to use the name Americans stubbornly insist on calling a game the rest of the world knows as football. Some say soccer is politics and others consider it poetry. Both are right. While the history and economics of sports reflect and shape domestic and international political struggles, a pass or a goal can be as beautiful as a sonnet. Jimmy Burns and Simon Kuper, the authors of these two important books on the history of European soccer are clearly driven by a love of the game. But their books also lay bare the connections between what happens on the field and the world around it. 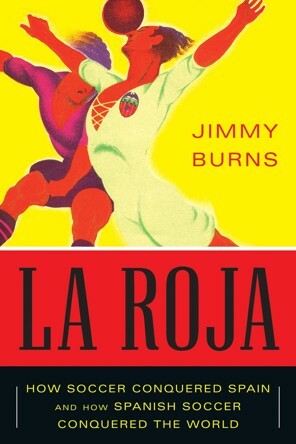 Burns’ La Roja is an informative and entertaining history of Spanish soccer from its origins — English expatriates teaching the Basques in the 1880s — until its glorious present, embodied in world-renowned teams FC Barcelona and Real Madrid, eternal rivals and political polar opposites whose players manage to bury the hatchet when appearing in the red jersey of Spain’s national team. The book dedicates extensive chapters to the Spanish Civil War, the Franco dictatorship, the transition to democracy and the persistentlegacies of recent conflict and violence in Spanish soccer. While Franco shamelessly manipulated the sport to further his political agenda, it also became a stronghold of resistance against the dictatorship and, later, a channel for overcoming the country’s deep-seated divisions. Burns shows how Spain’s unprecedented success as a soccer nation grew out of a serendipitous, hybrid blend of domestic and foreign influences. The arrival of two Dutchmen, Rinus Michels and Johan Cruijff, forever changed the way Spanish soccer was played. Michels, who coached Barça from 1971 to 1974, introduced the notion of “total football,” in which “every player is supposed to have the technical and physical ability to interchange roles and positions at will.” It was Cruijff, joining Barcelona from Ajax in 1973, who embodied and perfected total soccer, first as a player and then as a coach. And it was Barça’s Dutch-inspired game that ironically allowed Spain to beat the Netherlands in the 2010 World Cup final. Burns himself is of both British and Spanish origin; his grandfather was the famous Dr. Gregorio Marañón, one of the most prominent intellectuals during the years of the Second Republic; his father was a British diplomat. Burns knows the Spanish soccer scene like the back of his hand. 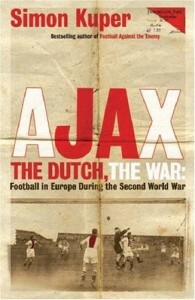 Kuper’s Ajax, The Dutch, The War is less exhaustive than Burns’ book but in a sense it goes deeper. Kuper’s narrative of soccer’s influence during World War II and long aftermath is, in effect, a nuanced cultural history of 20th century Dutch culture, inter-European relations, and the role of sports in the forging of identity and community. Like Burns, Kuper is bicultural: born in 1969 of itinerant South-African parents, he lived in the Netherlands between the ages of 7 and 16. Much like Ian Buruma, Kuper writes about the country and its history from the perspective of an outsider with inside knowledge. A first version of the book was published in Dutch in 2000; an English version was published in the UK in 2003. For this edition, the first to appear in the United States, Kuper has added an afterword. Kuper’s account of the pre-war years, life in the Netherlands under the German occupation, and the way the Dutch came to terms with the horror of the Holocaust after the war is fascinatingly revisionist and provocative. Through interviews and archival research, he destabilizes the simple narrative of a brave Dutch nation massively resisting Nazism. The truth, he shows, was much less glorious: for most Dutch citizenry, life went on as normal. Very few did much to prevent the massive deportation of Dutch Jews. Soccer, meanwhile, became more popular than ever. Focusing on the case of AFC Ajax, the legendary Amsterdam soccer club long associated with the capital’s Jewish community, Kuper tells a story of the war years that contains equal amounts of heroism and opportunism. Acts of profound solidarity alternate with acts of base collaboration and cowardice. In fact, the legacy of the war was so complex in emotional and political terms that the post-war Ajax community, which included Jews who had survived the war in hiding along with Nazi collaborators, preferred not to remember the war years at all. Kuper, however, is a tenacious digger and not afraid to pass judgment. The stories he uncovers are uncomfortable, to put it mildly, but his work is indispensable today, as Dutch liberalism and tolerance are being sidelined by new waves of violent anti-immigrant sentiment. Sebastiaan Faber, ALBA’s Chair of the Board, is a lifelong Ajax fan.